Honda Motor on Friday said its annual net profit grew more than 70 percent thanks to strong growth in sales of its cars and motorcycles, as well as US corporate tax cuts. Japan's third largest automaker logged net profits of 1.06 trillion yen ($9.7 billion), up 71.8 percent from the previous year, with sales of 15.36 trillion yen, up 9.7 percent. Motorcycle sales were particularly strong, growing 15.3 percent from the previous year, it said. 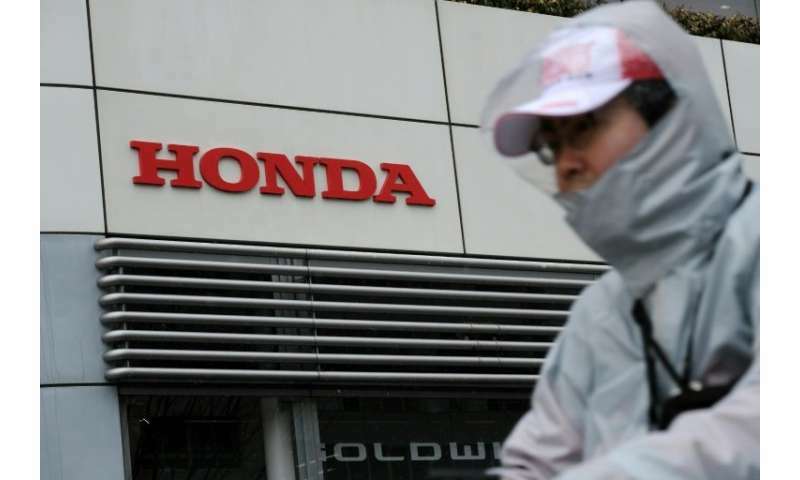 Honda reported its US corporate tax bill was down 346 billion yen ($3 billion) thanks to tax cuts introduced by President Donald Trump's administration. Operating profit edged down 0.9 percent due to factors including currency exchange rates, revisions in the firm's pension system and settlement costs for class-action lawsuits. But the company said it was "a de facto rise" in operating profit of 11 percent. For the current year to March 2019, Honda expects net profit to drop by 46.2 percent to 570 billion yen, chiefly due to a higher yen. It forecasts sales will edge up 1.6 percent to 15.6 trillion yen. A higher yen makes Japanese carmakers less competitive in foreign markets and deflates profits when repatriated. "The Japanese auto industry benefited from US tax cuts for the fiscal year," said Satoru Takada, an analyst at TIW, a Tokyo-based research and consulting firm. "Foreign exchange gains also contributed to their earnings but the impact is decreasing as the yen has gotten stronger recently," he told AFP ahead of the Friday earnings report.